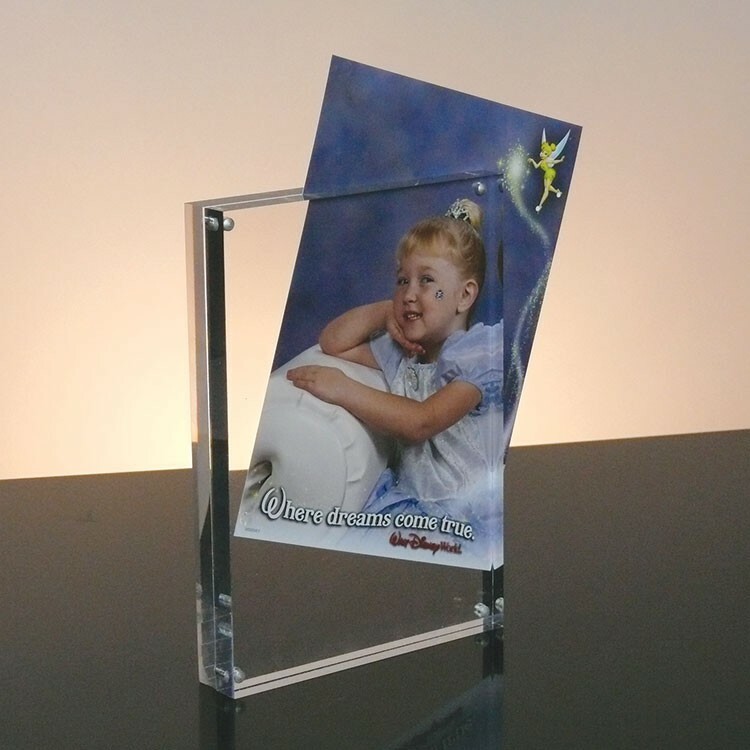 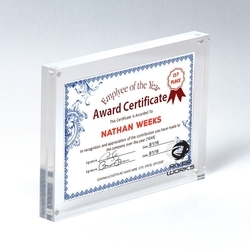 The all clear picture frame accommodates up to a 5x7 insert. 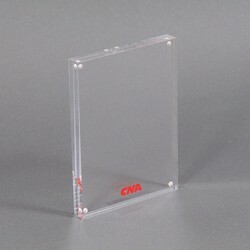 Features high powered magnets in the 4 corners of the .375" thick clear acrylic pieces. 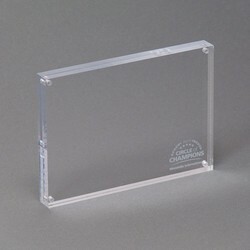 This acrylic picture frame is for table top use. 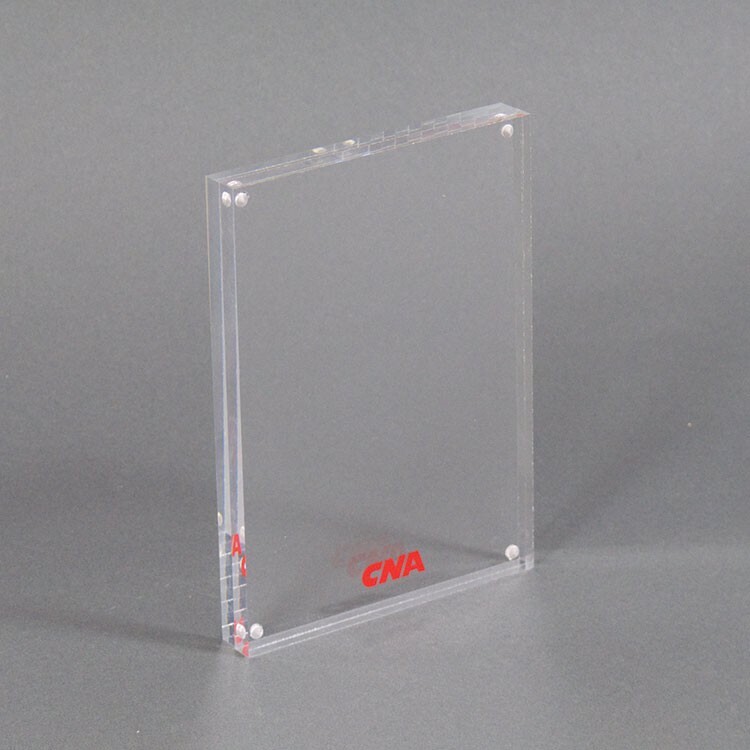 Custom sizes available! 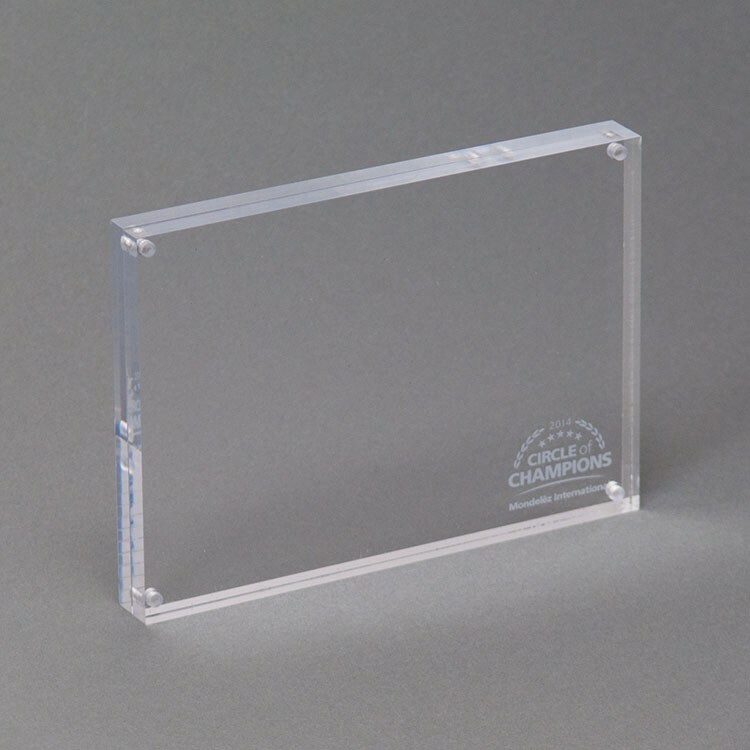 *Shown with a 6x4 certificate insert.